Intrigued as to exactly where that’s at but it is fairly typical. I’ve noticed, as a consequence of the austerity measures, since the collections from these recycling sites got reduced, the receptacles were often full when folks, with all good intention, turned up to recycle. When they found the receptacles full their goodwill soon disappears and they dump adjacent, almost in protest. Not condoning or excusing, just my observation on what’s happening, certainly in several occurrences I’ve seen. When we take our bottles for recycling and it’s full, which is more often than not, we then put ours in the ‘take all’ bin at the top of our road. That’s not as bad as just dumping but it still peeves me that we can’t recycle. That was by the Quinta Amizade where the horse riding place is. Heading out of Vale de Parra towards Pêra. 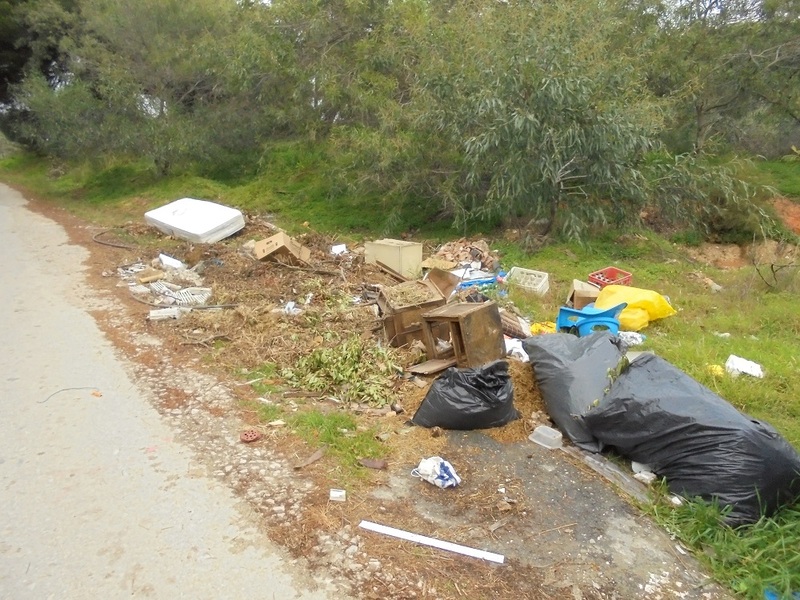 And just inside the Albufeira council limits. But chucking stuff out of car windows is just plain laziness. Take it home! Gotcha, Quinta de Saudade I think is the horse riding place, that’s right on the Albufeira boundary. Yes, dumping from car windows is totally inexcusable. In a traffic queue at the lights between explorers and dolphins, the driver of the car on my left dropped litter, my Father in my front passenger seat, put his window down and said “Hey, pick that up!”... Unfortunately the guy didn’t and in the few seconds it took for the lights to change we received the most vitriolic verbal abuse imaginable! 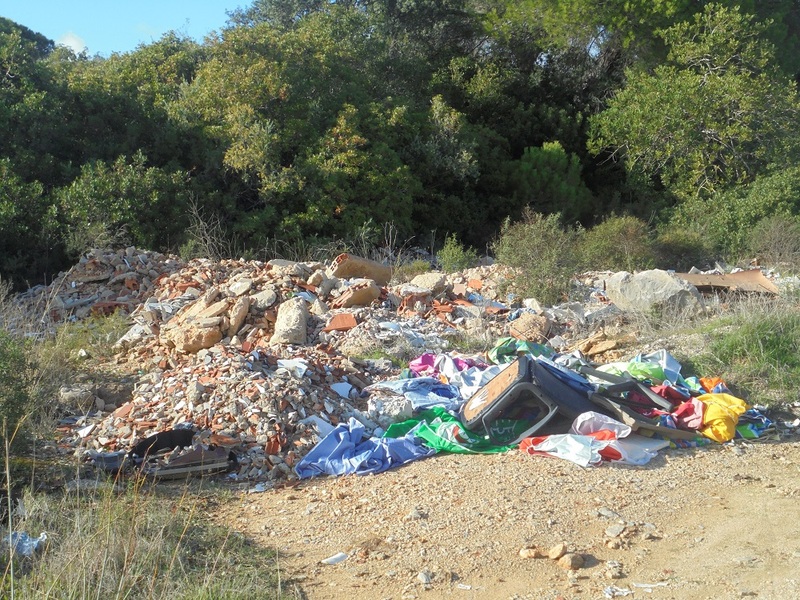 Fly tipping and littering a bad problem in UK too. There's no excuse for it. The graffitti awful too - but graffiti so much worse in Portugal and Spain - it's everywhere. The kids and older morons who tag with graffiti know that nothing can happen to them even if caught. 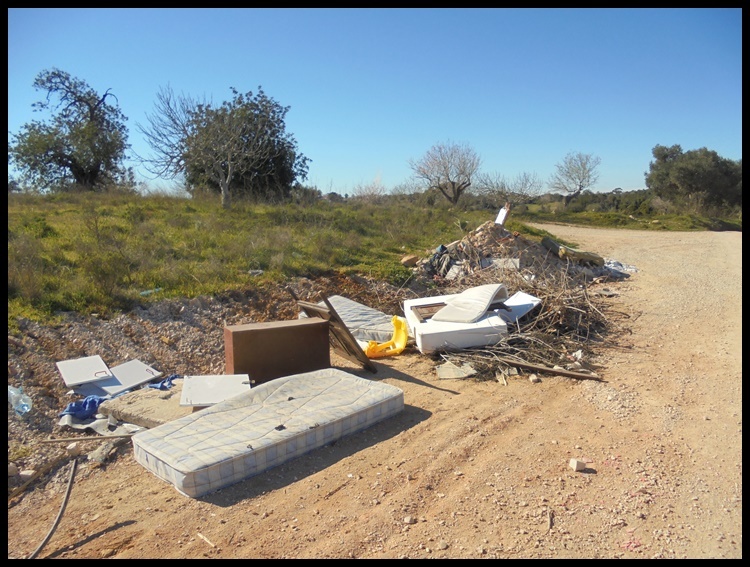 Same with that, the councils clean up the tourist areas but the rest is ignored. Parents either don't know or don't care what their offspring are doing. But we didn't have spray cans and indelible markers. I am going to watch the cricket. As a Scot I'm genetically incapable of understanding or caring about cricket. To me it's in the same category as the American versions of rounders, netball and rugger. However, I know poor sportsmanship when I see it and the Aussies have it in spades. They are terrible losers, maybe because they don't get much practise. So I hope England can pull a rabbit out of the hat. England pulled a scorpion out of the hat. 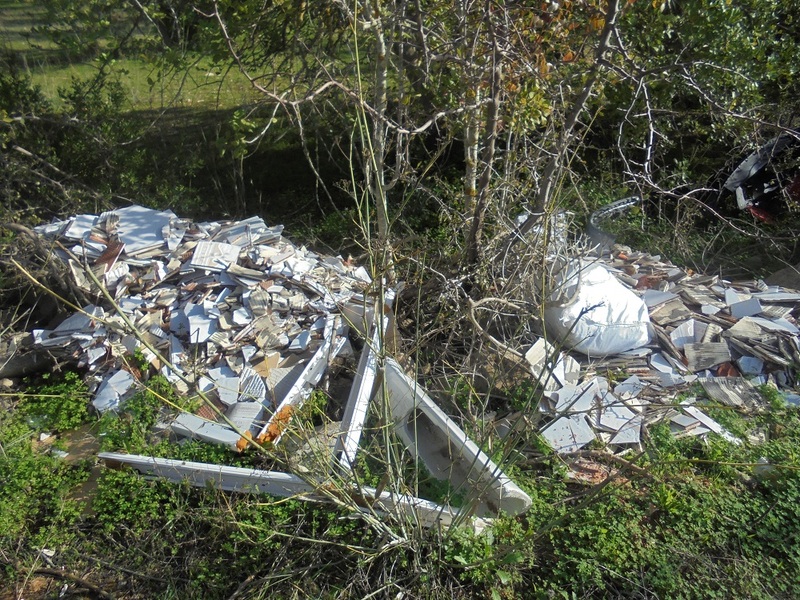 I shall be on the lookout for more illegal dumpjng later in the week. Do these people have no shame? Even children's English homework was in among this lot. Nothing wrong with the rugs a good clean wouldn't cure. Seen on the way towards Algarve Shopping. Amazed they are dumping wooden pallets, considering how many people pay good money for wood for their wood/log burners! Near the same place, yesterday. 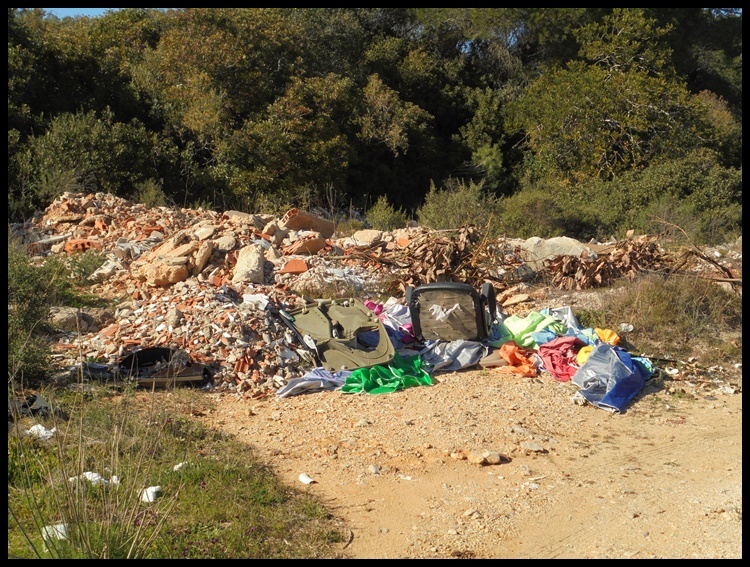 If there is one thing that really p****s me off about the locals it is their littering and dumping. Our descendants are going to be knee deep in plastic bottles for sure. Friday afternoon between Páteo and Cliff Richard's place. Clearly some people have no conscience or respect for the environment and could not care about what others may think.